Durham, North Carolina is the county seat of Durham County with a population of around 250,000. Durham is part of the MSA known as the Durham-Chapel Hill Metropolitan Statistical Area which is home to more than 500,000 residents. The U.S. Census Bureaus also tracks Durham in a much larger MSA, the Raleigh-Durham-Chapel Hill MSA with more than 2,000,000 North Carolinians. Durham was incorporated in 1869 yet settlements appeared as early as 1750. Today, Durham is home to Duke University and the University of North Carolina. Real estate trends for Durham, North Carolina show the average home price is just shy of $350,000 and a respectable “days on market” count of fewer than 60 days. When a home is sold less than 60 days after its initial listing date, it is considered a seller’s market. A seller’s market means there is generally less room for price negotiation once an offer is made. However, a buyer’s market means home sales are slower, typically taking more than 60 days to sell. The luxury real estate market is still relatively strong as well with higher priced homes scattered throughout Durham. Home values have been on a consistent climb over the past few years. Compared to 2017, the median list price for homes is up by approximately 5.0%, yet still below the conforming loan limit for 2018 of $484,350. Because of the general increase in home values nationwide, buyers can expect another increase in the conforming loan limit. Each fall, the Federal Housing Finance Agency reviews the national median home value with the values from the same time the previous year. If home prices are up, then conforming loan limit will increase accordingly for the following year. But what about jumbo interest rates? Do lenders use the same method? Actually, no. Mortgage lenders can set their own internal policies and guidelines as it relates to jumbo loans. The secondary market is more limited for jumbo loans, unlike conforming mortgages. When banks and lenders approve a conventional loan using secondary market standards (set by Fannie Mae) the loan is then eligible for sale in the secondary market. This replenishing the lender’s line of credit to make still more loans. Yet even though there is no robust secondary market for jumbo loans, most do follow similar guidelines. Jumbo loans are approved in much the same fashion as conforming loans, the major difference being the interest rate for a jumbo application. Buyers of higher-end homes will find approval guidelines needing a higher credit score compared to a conforming loan. For instance, most conforming loan programs will accept a credit score of as low as 620. A jumbo loan could require a 680 or 720 score. And besides the down payment and closing costs, jumbo loans will require more cash reserves than a conforming loan. Cash reserves are defined as the number of months’ worth of the mortgage payment, including taxes and insurance. If the total monthly payment is $5,000 and the cash reserve requirement is 12 months, there needs to be an additional $60,000 in available cash after closing. When considering these cash requirements, borrowers do have a choice as it relates to the amount of down payment needed. Historically, a jumbo loan required a down payment of at least 20 percent of the sales price of the home. On a $700,000 home, that’s $140,000. Remember, this is in addition to not only closing costs but cash reserves as well. However, there are new options today for jumbo loans without a 20 percent down payment. Eligible borrowers can put just 10% or 5% down with approved credit, please read more about the details on the Jumbo Purchase page. If you’d like a competitive jumbo loan without having to come to the closing table with such a sizable down payment, your loan officer may suggest taking out two loans instead of one. The strategy is known as a “piggyback loan” is pretty straightforward. 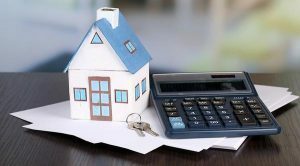 The first mortgage would be issued at the conforming loan limit, currently at $484,350 and the second loan for the remaining balance. For instance, if the sales price is $700,000 and there is a 10 percent down payment, the first lien would be at $484,350 and the second mortgage at the remaining. With the first lien being a conforming amount, the interest rate will be slightly lower than what a single jumbo loan would be. All the programs have the choice of traditional fix rate or adjustable rate terms with no PMI or pre-payment penalties. To learn more, please call us or just submit the Quick Contact Form on this page to be connected with a loan specialist 7 days a week.